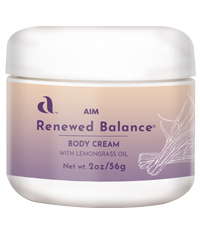 • Rub the cream into areas of thin skin, such as the neck, upper chest, breasts, and inside arms. Rotating among the various sites maximizes absorption. • Store in a cool, dark place below 75 degrees. Renewed Balance may be refrigerated, but should not be frozen.